Special Thanks to Leslie Ann Jones, Dann Michael Thompson of Skywalker Sound; Kazunori Fukuda, Tetsuya Nakamura of Primeseat and David Robinson of Positive Feedback for the use of his Pyramix system. Provenance: Recorded in DSD256 and mixed through analog console to DSD256. All conversions were made from the DSD256 original source mixes. After several blindfold tests, it is our opinion that the DSF256 files sound the best, followed by DSF128. The best PCM sound is the WAV192. The difference is minimal. We suggest you purchase files for your best performing home DAC. The DAC will make more difference than the file type. Some DACs are not compatible with DSD256. 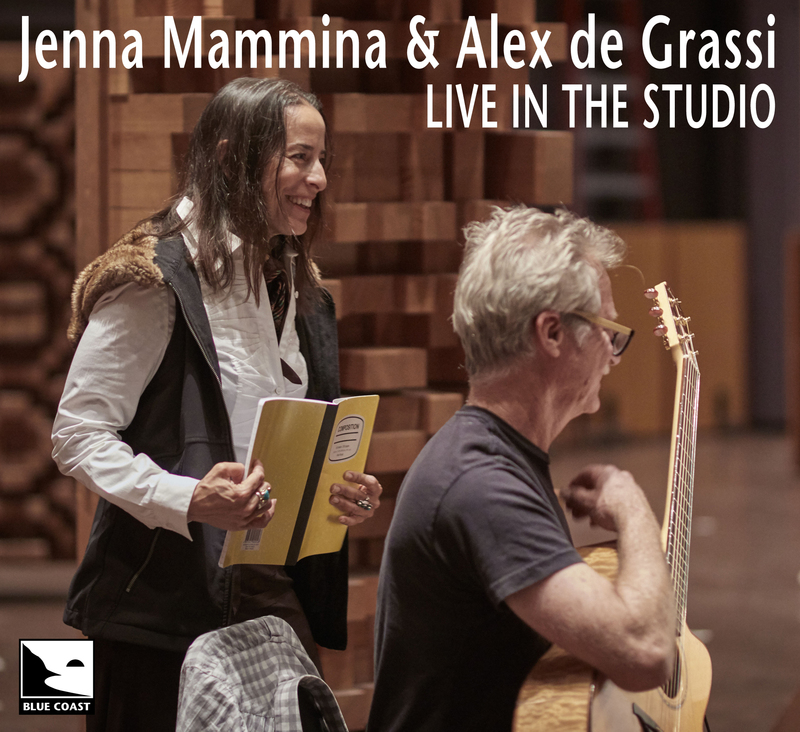 The first concert streamed live in DSD from the US, Live in the Studio captures a historic concert from vocalist Jenna Mammina and guitarist Alex de Grassi. Both extremely talented musicians in their own right, together Jenna and Alex created something more than just the sum of their parts. Alex’s fingers effortlessly blend dense jazz harmonies with rugged blues licks on “It Ain’t Necessarily So,” and Jenna channels her own pain (from learning of Prince's death hours before we went live) into a cover of "King of Pain" by The Police. Originally broadcast in DSD128, Live in the Studio was recorded to DSD256 at Skywalker Sound by Leslie Ann Jones and Cookie Marenco then mixed using our proprietary analog stage methods at Blue Coast Studios to DSD256.